The Lithuanian army has moved to NATO standards and is no longer using the AKs. Lithuania plans to give Ukraine weapons worth 1.93 mn euro, Delphi wrote Monday, 27 November, with reference to a resolution of the Lithuanian government. 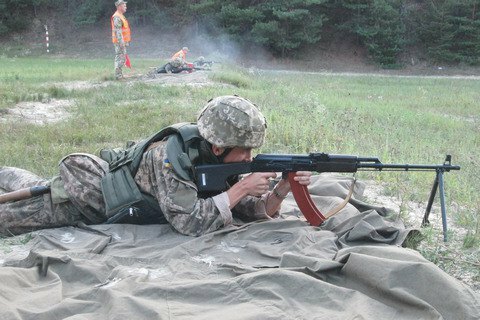 Most of the over 7,000 weapons are Kalashnikov assault rifles, that Lithuania is no longer using, and almost 2 mn rounds of ammunition.. Also, Ukrainians will be given more than 80 machine guns, mortars, anti-tank guns and other weapons. Back in 2014, soon after the beginning of the armed aggression of Russia against Ukraine Lithuania gave Ukraine 150 tons of military cargo, which mainly consisted of 5.45 mm cartridges for Kalashnikov assault rifles.